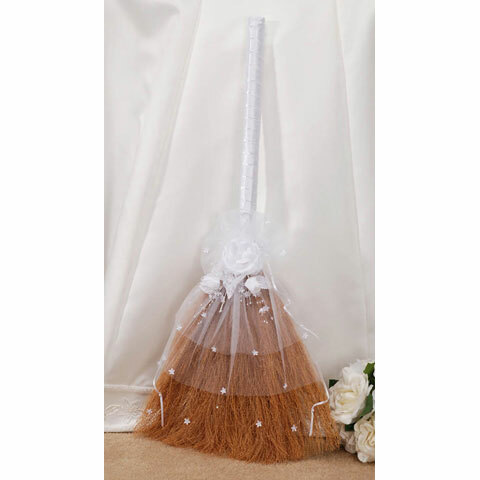 In many weddings around the world, there is a tradition called, "Jumping the Broom." When the bride and groom jump over the broom, it symbolizes a new beginning; sweeping away the past and signifying the union of two families. Brooms, such as these, are generally embellished with pretty ribbon, silk flowers, and beads. Not only for weddings, let these serve as a charming accent anywhere in your home. Attach a string or ribbon to display them on the wall, or let them serve as part of a country-inspired centerpiece, lying flat or leaning on any surface. Consider adorning with a scented oil! 14 inch Buntal Broom - 1 piece. 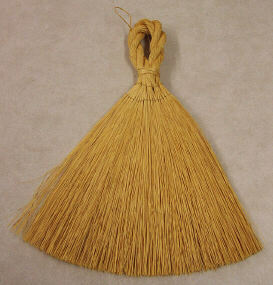 Grass Broom - 16 1/2 inch - untrimmed - 1 piece.